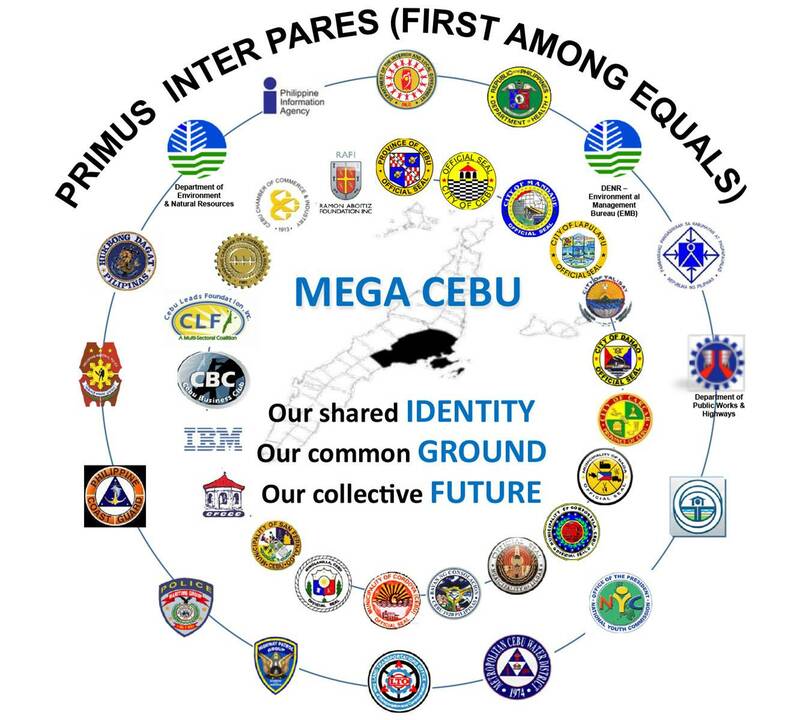 The Metro Cebu Development and Coordinating Board (MCDCB) is a coordinating body for metro-wide planning and development created on April 1, 2011 through a Memorandum of Agreement (MOA) signed by local government executives, heads of national government agencies, and leaders of the private – civil society sector. The creation of the MCDCB is a manifestation of the heightened desire of public and private stakeholders to lead and plan for a desired and collective future for Cebu. Its aim is to facilitate the formulation, coordination, and monitoring of integrated development strategies, policies, and standards for the development, initially, of Metro Cebu. MCDCB is a consortium of the Province of Cebu; 13 cities and municipalities located on the eastern side of Cebu island, including the cities of Carcar, Naga, Talisay, Cebu, Mandaue, Lapu-Lapu and Danao and municipalities of San Fernando, Minglanilla, Cordova, Consolacion, Liloan, and Compostela; regional line agencies; and private and civil society organizations. 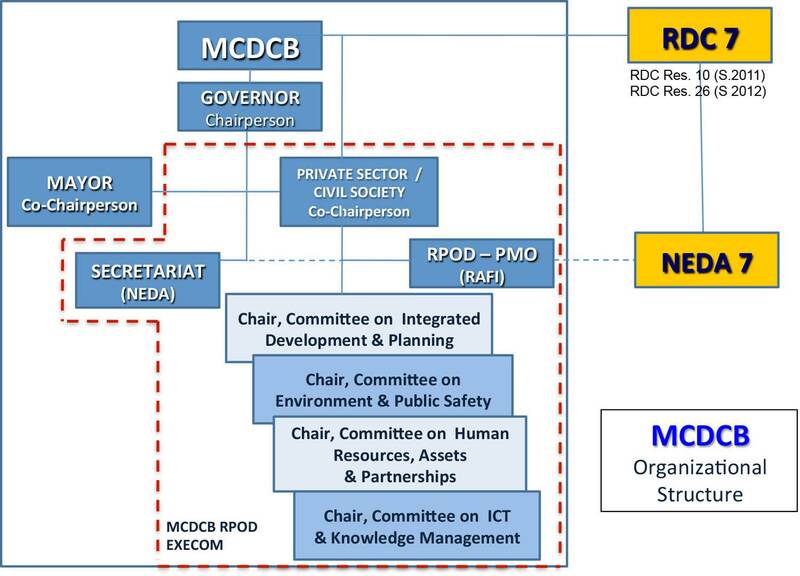 The appended chart below shows the organizational structure of the Metro Cebu Development and Coordinating Board (MCDCB), which is led by the Cebu Provincial Government (Governor), with the LGU (Mayor) and the private sector/civil society as co-chairs, and the National Economic and Development Authority (NEDA) serving as MCDCB secretariat. MCDCB’s leadership is composed of the Governor of the Province of Cebu and a 37-member board. The board consists of elected local officials, regional directors or heads of national government agencies, and leaders from the business – civil society sector. President, Ramon Aboitiz Foundation Inc.